Yesterday, Infowars reporter Jakari Jackson headed out to the Formula One race event held outside of Austin, Texas where he found, not only that posse comitatus is little more than a distant memory, but that National Guard troops were assisting the event at the behest of Texas Governor Rick Perry, according to one member. At least one National Guard member interviewed by Jakari said governor Rick Perry gave the order to have troops assist local law enforcement during the much-hyped, first ever Formula One race event predicted to bring hordes of people into the central Texas region. “We’re out here in support of the local civilian authorities. Any large public event like this, there’s always a public safety concern and we’re out here, much like the local law enforcement is just to make sure everybody has a good, safe time and just to help out our friends in the local civilian sector,” one troop said. What’s even more disturbing is that some interviewees had never even heard of the posse comitatus Act. Normally called upon in times of emergency, it’s unusual to see National Guard troops stationed outside of a sporting event. 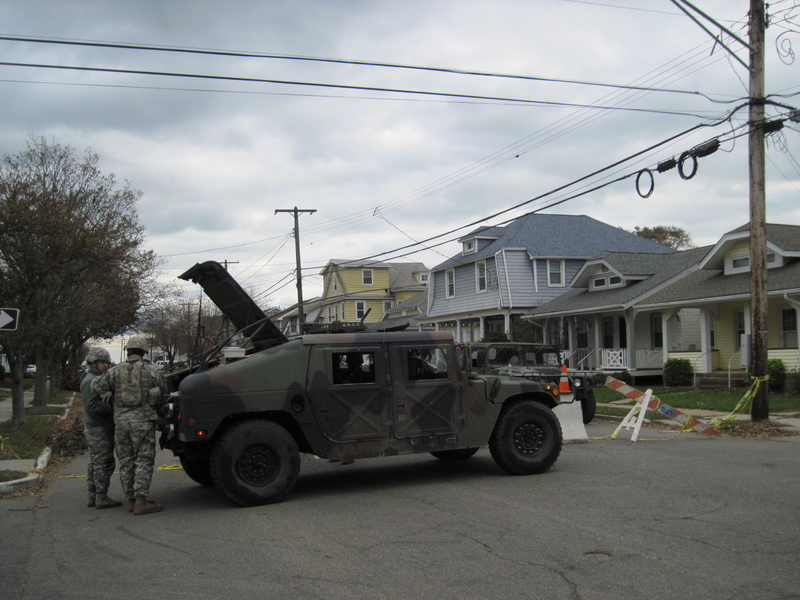 Hurricane Sandy also gave a chance to flex National Guard police state muscle. 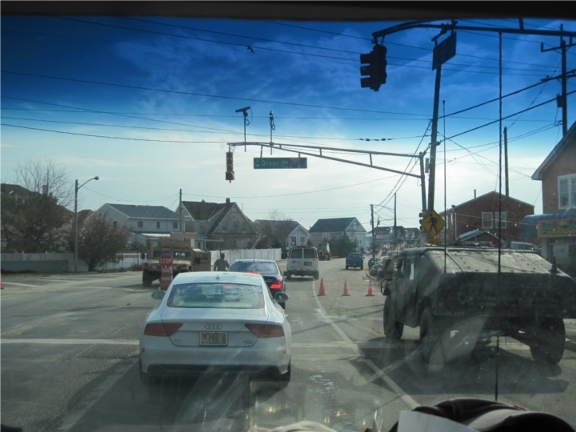 An Infowars reader with We Are Change New Jersey sent us a few photos from Bayhead of the devastation Sandy left in its wake and the National Guard’s response. Photos from the afflicted northeastern portion of the U.S. recently ravaged by Sandy depict National Guard troops blocking certain roads and either directing traffic or conducting checkpoints. “The remnants of Posse Comitatus stand between the Pentagon and the globalist dream of a police state in the United States. The 1878 law prohibits federal military personnel from working with state and local law enforcement. It has weathered sustained attacks following the September 11, 2001 attacks,” Kurt Nimmo wrote earlier this year.